Here's a slide that I didn't know we had. It shows Deb's maternal grandfather Sam Estilow on the left, Bobby holding a rabbit he shot in the middle, and Sam's father-in-law, Debbie's great grandfather "Pop" Chester Alexander Finley in Sam's backyard on South St. in Bridgeton. Pop's rabbit dogs, a pair of beagles, kicked up the rabbit and chased it around in a circle till in came in range. The hunting area was along some railroad tracks within a few miles of Elmer. Debbie and Bobby are on the front step at 102 N. Monroe for a photograph. They don't look too happy to be made to sit down together for the photo. Deb is 13 and Bob is 12. Bob is holding a zipper closing change bag from the bank and the payment book for his morning Philadelphia Inquirer newspaper route. 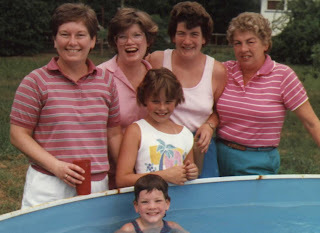 Carol, Deb, Dee and Pearl in the back row with Becki outside the pool and Tina in the pool sometime in the 1980s. 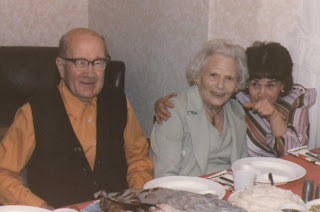 Deb's mother-in-law Doris May Bozarth points out the camera to Deb's grandmother Olive Thomas while her husband Ernie Thomas smiles. 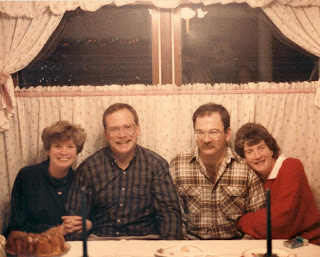 I think that this was taken at Deb's house in Audubon at a Christmas Day dinner. 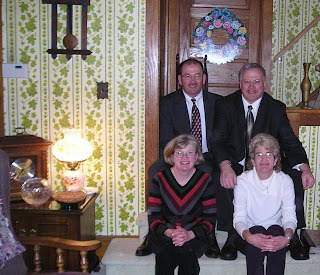 Debbie, Bob, Roger and Dee at the house Roger had built on Earnest Garton Rd in Alloway Township in 1986. The top photo was taken on or around Thanksgiving on the front porch at 102 N. Monroe Ave. sometime quite a ways back. It may have been late 1970s or early 1980s. The bottom photo was taken on February 2, 2004 inside 102 N. Monroe Ave.
You can click on most photos to see a larger version of them. Deb and Jeff took a cruise sometime in 2006, I think. Pete and Becki and others went with them. Becki can provide more details. These are a digital photos of slides that were processed in August, 1958, 49 years ago. It may have been taken as early as Easter, 1958. Top photo shows Debbie at 7 years old and Roger at 2 years old. Next photo is Mom about 28 years old Deb, Roger and as it says on his shirt, Bobby, at 5 years old. These might have been taken in the farm house that my father got to live in as part of his pay as an assistant professor at Ambler Junior College. I'm the youngest out of all of us. Debbie was 9 years old when I was born. I remember sharing our bedroom (it was the smallest bedroom in the house) with Debbie and a foster child that lived with us. There were 3 people in this little room. 2 twin beds 3 dressers and a cot. You had to sliver your way into the closet. But it was always clean and always alive with laughter. She got married when I was 10 so that would make her 19. I really didn't want her to leave, I liked it, her and I in that little room. She married and moved out to live with her husband. She used to watch me now and then when Mom and Dad went away or just because I wanted to stay at their apartment or house. Their first house was on Bell Rd and it was a duplex. Deb and Jeff weren't real handyman type people and I was a little more mechanically inclined and every spring and fall I would go up to their house and help Debbie with spring cleaning. They had these old windows and Debbie hated them, she could never get them to work right. So I would go up and do her windows. We always worked well together, it didn't matter what kind of work, we would roll up our sleeves and get it done, because afterwards Debbie always treated you to something sweet to eat, summertime it was custard and wintertime it was going out to Cikos Diner for a late night snack, or just making homemade fudge and putting it in the freezer so it would harden up quicker so we could eat it. Her second house was on E. Atlantic. It was a beautiful 2 story Victorian, it had a big kitchen, dinning room, living room and a wrap around porch. It also had hardwood floors. She was busy at work and the holidays were coming up and she needed her house cleaned and she asked me if I would mind cleaning it for her. I said, "No problem." Well I went up there and I cleaned the house and she called from work and asked how I was doing. I said, "Great, just about done." Debbie said, "Don't forget to polish the hardwood floors." I said, "Okay." Now I'd never polished hardwood floors before, so thinking that they're wood, I figured you use Pledge on the floors, that furniture polish, it gave them a beautiful shine, and made them slippery as all hell. ( she didn't like hardwood floors because she was always afraid of getting splinters). I got a call that night. "Dee, what did you use on the floors? I'm slippin' and slidin' all over the place, if I get a splinter!!!!!!!!!!!" "Debbie, all I used was Pledge," I said. I didn't know that there was other stuff to use back then. They were slippery for a long time. Oh yea, she did get a splinter. She never walked on those hardwood floor in her barefeet again. 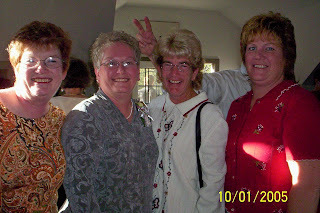 Pictured above are Debbie, Carol, Dee and Cindy. Debbie, I'll always remember all the great things that we did together. Why so many moves? My father was in the Air Force (AF) and taking training in Biloxi. The AF sent him to Nome, Alaska to work at a Distant Early Warning (DEW Line) radar site after the training and we couldn't go, so we lived with my paternal grandparents in Pitman, NJ while he was gone. Next the AF sent him to Keewaunee, WI and we followed. After the Korean War cooled off he resigned from the AF and went to work for IBM in Poughkeepsie, NY but they wanted him to move about the country as much as the AF so he quit that and went back work on a graduate degree on the GI Bill. While working on the degree he was offered a teaching job at Ambler Junior College so we moved into a brick row house there while the college renovated some old farm houses. Once one house was done we moved into the rural spring house on the far edge of the campus. We later moved into a larger nicer farm house within sight of the first one. Ambler Junior College is now Temple Junior College. While teaching at the college my father was told about a sales position with Gloeckners, Inc., a company that sold bulbs, plants, seeds and supplies to greenhouses. My mother had always liked Wenonah, based on the impression of it that she got when she rode the bus from Bridgeton to Philadelphia, so when my father left the college job they hunted for a house in Wenonah. Our parents bought a house at 102 N. Monroe Avenue in Wenonah. It was their first house purchase and the last house that they lived in. Click on the photo to view a larger version of the photo. Debbie started school in Kindergarten in New York. She must have attended school for a while in New Brunswick and then again in Ambler. 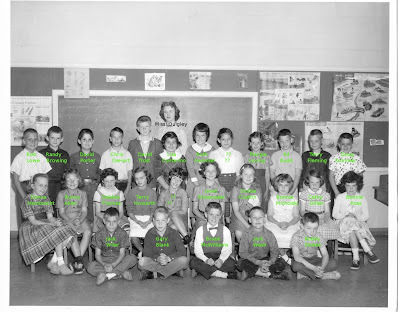 In September of 1959 she entered 3rd grade in Miss Quigley's combined 2nd and 3rd grade class. Here's a photo of Debbie with her grandson PJ in May of 2007 at a reception following the funeral of his great grandmother Doris Bozarth. He's a cute boy just full of energy! Deb and her brother Bob on the same day. This photo was taken by Patti, Jeff's twin's friend. I thought about my Mother just tonight. I was asked to help teach a family member how to plant flowers. She usually had Mom do it, but I stepped up. I usually would be very shy and not confident to help, but tonight I received strength from her above. I did not even think about it I just did it. That is how my Mom lived her life. She was always helping others. She took such good care of my father, my children, my husband and myself. She was able to do things for others so easily without even thinking. She was always positive. My mom helped fund me through college, even when we barely had two nickels to scrape together. Mom found a way. She encouraged me to get my first job and a new apartment. When I had my wedding she was there to help with all the plans and was there for the birth of my children. The last year was so special to me and I never realized it would be the final year. We spent time doing such simple stuff, however so valuable. We enjoyed our weekly trips to the market. We would each take a child with us. I usually had Payton and Mom had P.J. We would then sometimes get a quick snack and go home with all of our groceries. Mom thank you for everything. I will always love you. 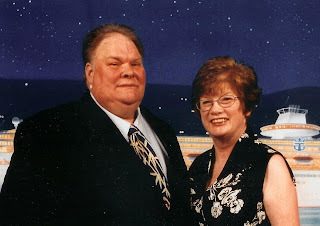 Bob Thomas and Carol Valentine were married on October 1st, 2005 and all the family made the trip to Morris, NY to witness the event. Here's a photo of Deb sitting next to her daughter Becki. 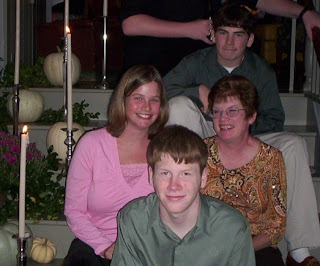 In front of them is Deb's nephew Ryan and behind them is her nephew RJ. In 1969 when Deb graduated from Gateway Regional High School she hadn't decided to go to college so my parents decided to give her a new car for a graduation present. She got a dark green Toyota Corolla. 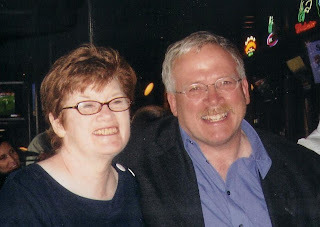 My friend Rodney Hinwood's family had moved to Rockville, Indiana and I wanted to drive out and visit him. Rodney was having a tough time adjusting to life in very rural Rockville after suburban Wenonah. To make matters worse he had to switch high schools for his senior year. I asked Deb if I could borrow her car to go out there. She very generously let me borrow it. I left early in the morning and there was virtually no traffic on the Schuykill Expressway (I-76) as I went under the 30th Street railroad station in Philadelphia. There was a huge coil spring from some sort of vehicle right in the middle of the lane that could pose a dangerous obstacle if commuters later in the day began dodging the spring. To avoid a problem later I pulled over and scooped up the spring. I put it on the floor of the driver side seat and forgot all about it. Apparently the spring rolled under the driver seat and out of sight. Deb was driving the car a few days later and a quick start or something caused the spring to roll around making a big enough noise so that she heard it. She was frightened thinking that the spring had fallen off her new car and I hadn't told her about it. She left me know in no uncertain terms that I wasn't to be picking up things like that spring if I couldn't remember to get them out of her car afterward. Deb was born Deborah Lynn Thomas at Keesler Air Force Base in Biloxi, Mississippi on October 9, 1951. She was the first child of Robert Roy and Pearl Helen (nee Estilow) Thomas. Bob and Pearl didn't choose Biloxi as a place to live. Bob chose the Air Force rather than be drafted during the Korean War. The Air Force chose Biloxi for them. Both Bob and Pearl had grown up in South Jersey. Bob was born in Pitman and grew up in Pitman and Millville. He graduated from Millville High School and later Rutgers University. Pearl was born in Seely and grew up in Seely and Bridgeton. They had both enjoyed going to the coast to cool off during hot South Jersey summers. She graduated from Bridgeton High School. The gulf coast of Mississippi near Biloxi was not useful for cooling off. Pearl said that the water was as warm as bath water and very shallow. You walk out for a long ways and sit down in the water and the sweat would still be rolling off you. 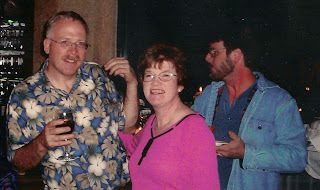 My sister's husband, Jeff, gets a faraway look in his eye and says, "Debbie was a good woman. She went to heaven in a Cadillac driven by Saint Peter." He's right. Debbie was a good woman. Her trip to heaven began just a few days ago on Tuesday July 31st, 2007. We will miss her forever but we can remember her here. Please join by sharing photos and stories about Debbie.